This weapons system, made by an Australian firm, allows guns and cannons to be fired remotely. 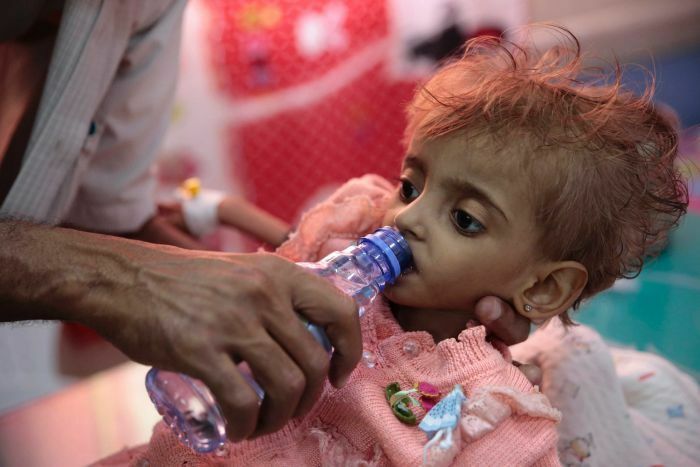 The four-year war in Yemen has killed tens of thousands and an air-and-sea embargo has led to more than 85,000 Yemeni children under five dying from hunger, according to one children’s agency. Australia’s burgeoning exports to the UAE and Saudi Arabia may be connected to a plan announced by then-Prime Minister Malcolm Turnbull in January to drastically increase defence sales over the next decade. Australia will spend $200 million between now and 2028 in order to make Australia the 10th-largest arms exporter in the world. It is currently the 20th largest. The strategy states the Middle East is a “priority market” for defence exports. 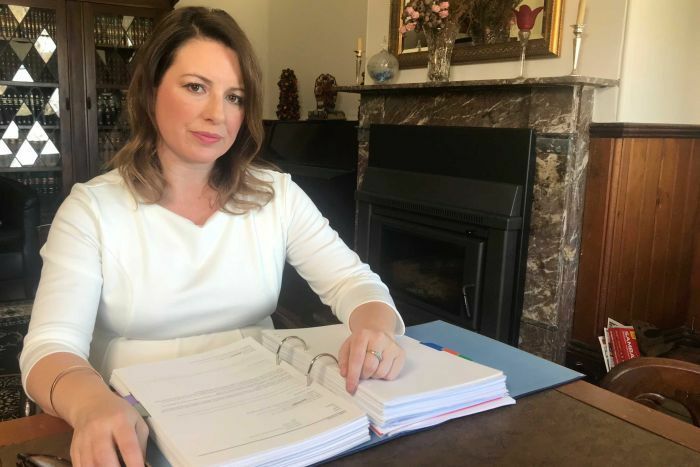 The Government has tried to keep details of the exports secret, but New South Wales lawyer and human rights activist Kellie Tranter has spent a year trying to shed light on the sales. 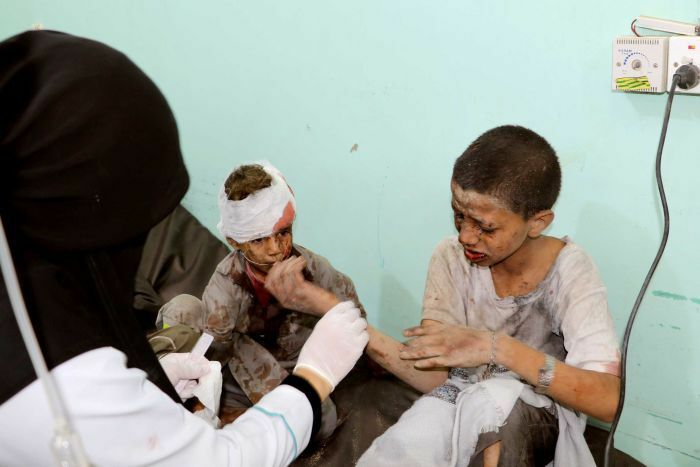 “I have a child under five and it was difficult not to be moved by the images coming through from Yemen. [With] a baby on the way I felt compelled to find out what if any role our country had to play in that suffering,” Ms Tranter said. Ms Tranter has tracked the rise of exports to the Middle East via a series of Defence FOI requests. It was Ms Tranter’s work that uncovered the scale of the export certificates to the UAE and Saudi. Export permits are needed before companies or the Government can ship military or dual-use items overseas, though sometimes a company receives an export permit and does not ultimately export the item. Ms Tranter said the permits were evidence Australia is trying to increase sales to countries involved in the Yemen war. “We’re actually engaging with the very players that are potentially involved in nefarious activities in Yemen,” she said. The heavily redacted FOI documents do not show which Australian companies are receiving the permits, who their international customers are, or even what items they are planning to export. “Not even members of the Opposition who have been trying to extract this information from the Government are permitted to know,” Ms Tranter said. In August this year the United Nations released a report accusing the Saudi-led coalition of a series of human rights abuses, including indiscriminate air strikes and UAE-run secret prisons using torture and murder. The report also called on the international community to halt weapons sales to the coalition. 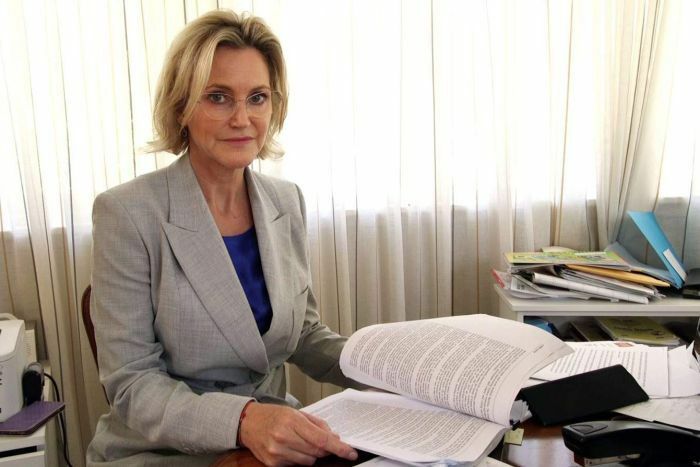 Former Australian MP Melissa Parke is one of the authors of the report. She said governments that are members of the UN should be careful when considering the issue of military exports. “Member states assisting parties to the conflict will want to ensure that they are not aiding and abetting war crimes,” Ms Parke said. Australia is signatory to the international Arms Trade Treaty, which entered into force on December 24, 2014. Questions are being asked about an Australian defence company’s recent export deal to supply high-powered weapons systems, which according to sources may be bound for the UAE. Electro Optic Systems, better known as EOS, is an Australian defence and space technology company with ambitions to become the world leader in next-generation remote weapons systems. The systems are a collection of sensors, cameras and lasers set around a small cannon or heavy machine gun. They are built onto a swivelling mount that can be affixed to the roof of a military truck or the deck of a naval vessel. It allows a soldier to fire while safely inside a vehicle and can acquire targets up to several kilometres away on its own. In January, EOS announced a $410 million deal to supply weapons systems. Two people have told the ABC the end user is the United Arab Emirates (UAE). EOS’s system, known as RWS, is already being used by the Australian military. In January, the firm announced it had struck a deal to export its latest version, the R400S-Mk2, to an overseas customer. When asked about the deal, EOS said in a statement it could not “confirm or deny” that the UAE was either the overseas customer or the end-user. “Disclosure of the end-user[‘s] identity could degrade the impact of the technology, and would not be in the national interest,” an EOS statement released when they announced the deal said. EOS declined an interview with the ABC but said in a series of statements its weapons system was “amongst the most highly regulated products in the defence market”. 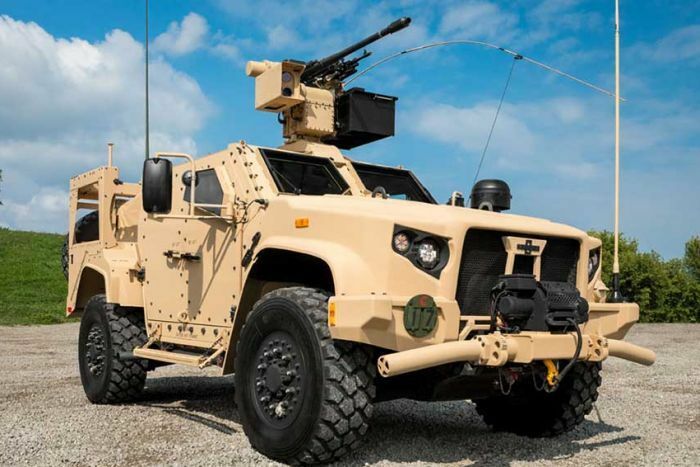 The firm declared it did not “presently” hold Australian Government export licenses that would allow them to export military equipment to the UAE. It had “no reason to believe that UAE would not presently qualify as a recipient for export licenses from any country, including the US and Australia”, the company also said. EOS said none of their items were in Yemen and they do not play any role — direct or indirect — in the Yemen conflict. The full statement provided to the ABC by EOS is available below. Australian defence economics analyst Marcus Hellyer told the ABC a $410 million deal was “extremely large by Australian standards”. Mr Hellyer said the value of the EOS deal represented more than a quarter of all exports licensed by Defence in the last financial year. The Australian Government has also helped support the deal, touted as a “major expansion of defence industry capability” by EOS, which has a market capitalisation of $200 million. The company’s own financial records show the Government’s export credit agency, EFIC (Export Finance and Insurance Corporation), provided it more than $33 million this year in performance bonds connected to the RWS. By comparison, this year Australia has contributed $23 million in humanitarian assistance to Yemen. It also appears Defence Minister Christopher Pyne played an important role in securing the deal while he was defence industry minister, according to a January statement released by EOS announcing the $410 million deal. “Christopher Pyne MP has visited foreign capitals with me to provide assurance of Australia as a reliable defence partner and supplier to its allies,” the statement said. Mr Pyne said in a statement Australia weighed all military export applications on a case-by-case basis, in accordance with export control provisions. “These provisions reflect our international obligations, including the Arms Trade Treaty, and include an assessment against the legislative criteria of international obligations, human rights, national security, regional security and foreign policy,” the Minister said. The Department of Defence said in a statement Australia was not involved in the Yemen conflict. The statement said the department did not release details of individual export applications or permits due to commercial-in-confidence considerations. It said the Australian Government continued to make representations on the importance of unhindered humanitarian access to Yemen. Christopher Pyne travels to UAE. Meets with Crown Prince Mohammed bin Zayed and Defence Minister Mohammed Al Bowardi. Christopher Pyne travels to Saudi Arabia. Meets with Prince Mutaib bin Abdullah in Riyadh (head of the National Guard). Christopher Pyne travels to UAE. Meets with UAE Armed Forces chief of staff in Abu Dhabi and Minister of State for Defence Affairs of UAE, Mohammed Al Bowardi. Then-prime minister Malcolm Turnbull visits UAE for call with Crown Prince Sheikh Mohammed bin Zayed Al Nahyan. Christopher Pyne travels to Saudi Arabia to meet with Crown Prince Mohammed bin Salman and other Saudi senior defence officials to discuss opportunities for defence industry cooperation and advocate for Australian defence exports. Then-prime minister Malcolm Turnbull launches Defence Export Strategy, which includes creation of Australian Defence Export Office. ADEO is a focal point for all defence exports and manages all government-to-government sales. At the same time a $3.8 billion fund, administered by the Export Finance and Insurance Corporation (EFIC), is established. Called the Defence Export Facility, it will provide finance to Australian defence companies wanting to sell overseas. The Government also pledges $20 million a year to implement the strategy. Then-minister for defence industry Christopher Pyne opens Electro Optic Systems’ (EOS) new production facility in Canberra and announces EOS’s $410 million defence contract, but not who the end user is. Christopher Pyne meets with UAE Foreign Minister Sheikh Abdullah bin Zayed bin Sultan Al Nahyan in Canberra. Christopher Pyne travels to the UAE and Afghanistan. Watch the story tonight on 7.30 on ABC TV and iview. EOS does not manufacture weapons. We produce technology to allow existing weapons to be applied more accurately and effectively. EOS products are high-end systems designed to allow our forces to engage numerically superior enemy forces by using EOS technology to fight under high manoeuver with precision engagement. EOS companies in the USA and Australia are involved in production, so all military sales require an export license from both USA and AUS, making EOS products amongst the most highly-regulated products in the defence market. EOS relies on extremely strong export license and anti-corruption processes operating in both the USA and Australia. Those processes, formulated and updated over decades by democratic governments in like-minded states, align EOS policy with national security and national values. Less than 10% of all countries today could qualify for access to EOS defence products. Our customer list is even shorter than this. EOS only sells to countries which are: a. In a formal alliance with Australia or the US; or b. Are fighting, or have fought, alongside Australian or US forces. Exceptions can be made by the two licensing countries on a case-by-case basis. No exceptions have been granted in recent years. The international sale restrictions listed above apply to the sale referenced in the EOS announcement in January 2018. Over 90% of EOS defence activity in Australia is for export of items that are used by the ADF. Foreign sales significantly reduce the cost of development, acquisition and support for Australia for defence technology. This is the principal reason why Australian industry participates in international sales. EOS does not identify customers without their approval and even our ability to comment where we are not engaged can be limited by a desire to not help strategic competitors of Australia or the USA collect intelligence on allied deployments. Occasionally a customer will seek publicity on a contract with EOS, where the acquisition may have a deterrent effect and reduce the possibility of conflict. 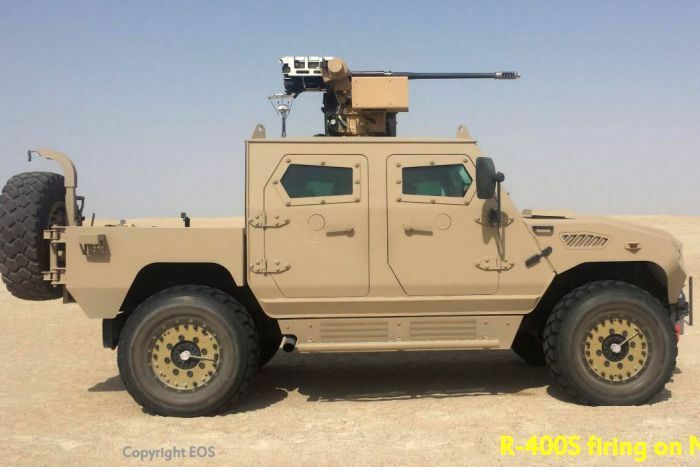 EOS equipment has no role in Yemen. EOS has not delivered any defence equipment to UAE, and no equipment produced by EOS has been deployed to Yemen by any other recipient of EOS defence items. EOS is not presently the recipient of export licenses which would allow EOS to export Defence equipment to UAE. However EOS has no reason to believe that UAE would not presently qualify as a recipient for export licenses from any country, including the US and Australia. do you need a USB dongle to keep your accounts safe?